Trending at $14.65eBay determines this price through a machine learned model of the product's sale prices within the last 90 days. 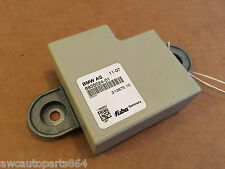 BMW Part Number: 65202296761 (65 20 2 296 761). 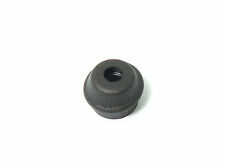 Genuine BMW Sport Short Antenna. REMO VED FROM A 2008 BMW 750Li E66. CHECK PART NUMBER IF LISTED. 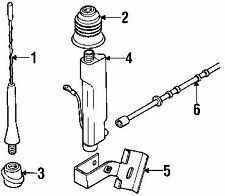 Item may show light scuffs, scratches or other imperfections as a result of thisbeing a used part. All the parts are tested either before or after removal from the vehicle. Z4 E86 (10/2005 — 08/2008). Z8 E52 (12/1998 — 07/2003). Z4 E85 (01/2002 — 08/2008). 3' E46 (04/1997 — 08/2006). Item may show signs of wear, light scuffs, scratches or other imperfections as a result of this being a used part. For sale I have the rear roof antenna that was removed from a 2001 740i. IMPORTANT FOR US. Item may show signs of wear, light scuffs, scratches or other imperfections as a result of this being a used part. All the parts are tested either before or after removal from the vehicle. 3' E46 (11/1998 — 08/2006). IMPORTANT FOR US. Item may show signs of wear, light scuffs, scratches or other imperfections as a result of this being a used part. All the parts are tested either before or after removal from the vehicle. Up for sale ONE new roof shark antenna. 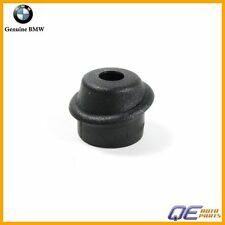 original BMW part. Available is a shark fin roof antenna removed from a '17 BMW M3. 2015-2018 BMW M3. This antenna is located on the exterior of the vehicle on the roof. The antenna is in excellent working condition. 1 Series E81 (02/2006 to 12/2011). 1 Series E87 (02/2003 to 02/2007). 1 Series E87 LCI (01/2006 to 06/2011). 1 Series E88 (11/2006 to 10/2013). Z4 E86 (10/2005 to 08/2008). Z4 E89 (01/2008 to 04/2015). 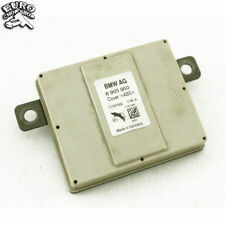 One used but in good working condition radio antenna amplifier taken out of a 2004 BMW X3. DONOR: - 2011 BMW 128I VIN: WBAUP7C59BVP21644. Any sign of tampering or attempt to disassemble or alter the part will void the warranty. proof/receipt of work is required! The warranty does not cover failure due to misuse, improper repairs or maintenance, installation, alteration or modifications. Z4 E89 (01/2008 — 08/2016). X6 M F86 (10/2013 — 07/2018). X6 F16 (09/2013 — 07/2018). X6 E72 Hybrid (10/2008 — 10/2011). X6 E71 (01/2007 — 06/2014). X5 E70 LCI (04/2009 — 06/2013). X5 E70 (02/2006 — 06/2013). 3' E92 (05/2005 — 02/2010). 3' E92 LCI (11/2008 — 06/2013). 3' E90 (02/2004 — 09/2008). 3' E90 LCI (07/2007 — 02/2012). Empty housing for the roof antenna. All the parts are tested either before or after removal from the vehicle. Roof & Sun Roof. 2007 2008 BMW X5 3.0si painted. 2007 2008 BMW X5 4.8i painted. 2009 2010 BMW X5 xDrive30i painted. 2010 2017 BMW 535i GT Base ROOF MOUNTED, painted. 2009 2013 BMW X5 xDrive35d painted. Donor Vehicle: 2007 BMW 328i Sedan. ▪ All electronics are tested before removed from vehicle. 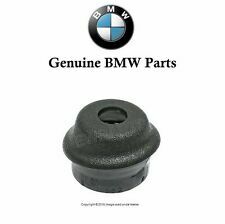 This is an OEM BMW used part. No warranty on light bulbs. No labor warranty is provided. 2.2L 2171CC 132Cu. l6 GAS DOHC Naturally Aspirated BMW Z3 2.2i Convertible 2-Door 2002. 3.0L 2979CC l6 GAS DOHC Naturally Aspirated BMW Z3 3.0i Convertible 2-Door 2002. 3.0L 2979CC l6 GAS DOHC Naturally Aspirated BMW Z3 Coupe Coupe 2-Door 2002. 2013 2015 BMW X1 sDrive28i. 2013 2015 BMW X1 xDrive28i. 2013 2015 BMW X1 xDrive35i. Roof & Sun Roof. Exterior Color: SILVER Interior Color: BLACK. Cash on pickup. We accept all major credit card orders over the phone. 2010 2017 BMW 535i GT Base ROOF MOUNTED. 2011 2017 BMW 535i GT xDrive Base ROOF MOUNTED. 2010 2017 BMW 550i GT xDrive Base ROOF MOUNTED. Roof & Sun Roof. 2010 2015 BMW 550i GT Base ROOF MOUNTED. 2007 2008 BMW X5 3.0si. 1.8L 1796CC l4 GAS DOHC Naturally Aspirated BMW 318i Base Convertible 2-Door 1995. 1.8L 1796CC l4 GAS DOHC Naturally Aspirated BMW 318i Base Sedan 4-Door 1995. 2.0L 1990CC 121Cu. l6 GAS DOHC Naturally Aspirated BMW 320i Base Sedan 4-Door 1995. 2000 BMW Z3. If you don't want any surprises - keep in touch with the transporter yourself. - don’t need it anymore;. - wrong part ordered;. - doesn’t fit;. - changed your mind;. - warranty case. - unworking item;. These are used original BMW parts. ITEM: radio antenna w mast. 1999-2000 Z3 2.8 Coupe (Z3/M52). 2001-2002 Z3 3.0i Coupe (Z3/M54). 1999-2000 Z3 M3.2 Coupe (Z3/S52). 2001-2002 Z3 M3.2 Coupe (Z3/S54). Production for the "model year" usually begins in September of the previous calendar year, so if you have a 1995 model BMW it will have been produced anywhere between 9/94 - 8/95. Parts match. Be sure for what you buy! - it is an electronic part in good condition. - don’t need it anymore;. - wrong part ordered;. - doesn’t fit;. - changed your mind;. - warranty case. DONOR VEHICLE: 2008 BMW 328i E90 SEDAN. 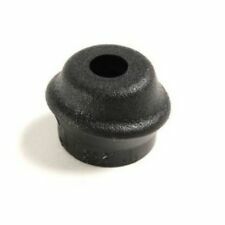 WILL FIT 06-11 BMW E90 3 SERIES CARS. ROOF SHARK FIN RADIO ANTENNA COVER. 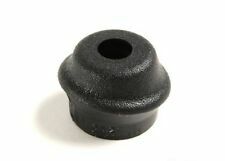 Will Fit 04 05 06 07 BMW 5 Series E60 525 528 530 535 550 xi. 5 Series E60 2004-2007. 04 05 06 07 2004 2005 2006 2007. One of the wires is cut, so will have to be spliced with the car wire. Refer to the photos.